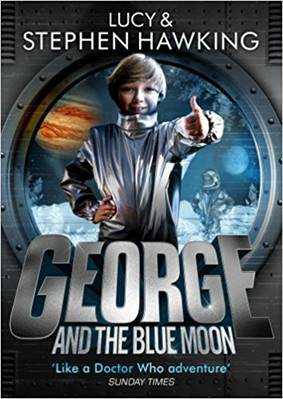 George and the Blue Moon: This is the last and final book in the George series. In this book George and Annie are selected for an Astronaut training program that trains young kids who are interested in becoming astronauts when they grow up. After being fully trained these young astronauts were sent to Mars on an expedition to find out about life on the planet. Both the kids thought it would be fun and interesting, but they were in for a rude shock. The program was far from nice; it was quite the opposite. All the children at the program were put in pairs of two. Along with their partners the pairs had to undergo three very dangerous tasks without any adult supervision! Annie and her partner Leone were the best team by far. After some time, George and Annie start getting a bit suspicious as none of the tasks seemed like they would be useful later. When a plane that was carrying all the children of the program malfunctions, it seemed that their suspicions were turning out to be true. The plane would have crashed if Annie’s partner Leone had not taken charge and saved the day. To add to it all George and Annie meet their arch enemy Alioth Merak again! I really liked this book, though the ending was a bit sad. It could have been a bit better. Otherwise the book was amazing. My favourite part was when the plane malfunctions and Leone saves the day. I felt this was the second-best book in the George series. The best was ‘George and the Big Bang’ which was covered in the June newsletter. This is the eighth purana that I am reviewing. It is easy for anyone to guess the name as at the start of the review it is given the “Garuda Purana”. This Purana is the seventeenth Purana in the list of Mahapuranas. In my Vishnu Purana review I had mentioned that I was taking a break from tamsik puranas and would be reviewing satvik puranas instead. 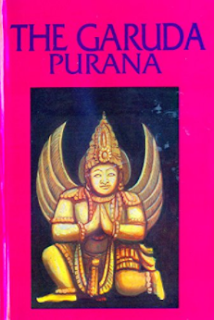 The Garuda Purana is also a satvik purana. It is the third satvik purana that I am reviewing. This Purana is not very long. It has only nineteen thousand shlokas. These shlokas are divided into two parts – the purva khanda and the Uttara khanda. These parts are further divided into chapters. The purva khanda has two hundred and thirty-four chapters and the Uttara khanda has forty-five chapters. I think this much introduction is enough so let us move on.